‘In Loving Memory, 2018 0.8°C’ -- a future memorial site. 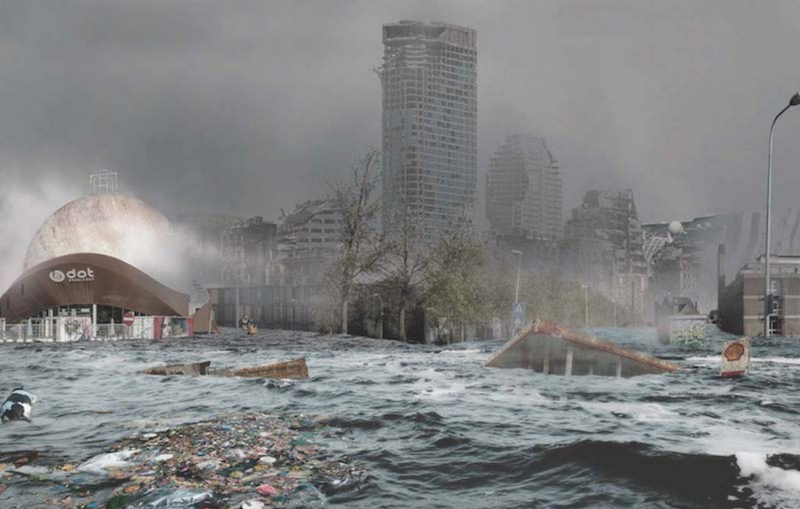 An 8x5m wall offers a futuristic window into a catastrophically flooded Groningen, a city in the north of the Netherlands. A large cache of archaeological objects were uncovered in the transeuropa flood plain. The artefacts uncovered offer an unprecedented look into the life of the human race in 2018, prior to the great cataclysms that we have witnessed in the last few decades. Particularly the profound obsession with objects created from the industrial processing of complex carbon chain polymers, ‘plastics’ – an industry that was a key factor in heavily increasing carbon dioxide in the atmosphere. It would seem this material afforded these peoples great luxury and the accumulation of personal wealth in a horrendously stratified society. These quotidian objects have survived extreme climate changes. What would have been waste for them, now offers us a glimpse into their perplexing culture. Ultimately, these factors led to their demise. In loving memory of 2018 we will come together at the Ebbingekwartier of Groningen to remember the Earth at a time when it was only 0.8°C above the norm. The site was installed in public space and was free for all visitors. 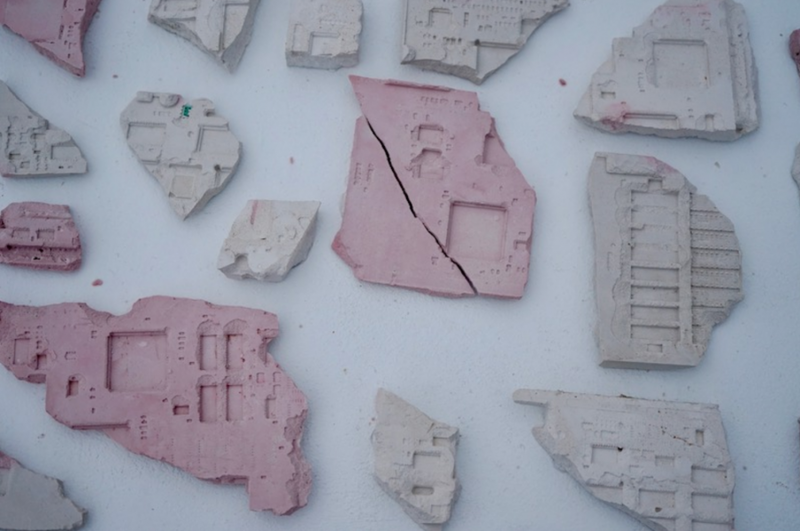 The installation was left on site to be vandalised, broken or naturally eroded. The project was realised thanks to Sign Gallery, Groningen. Made possible by contributions from the Mondriaan Fund, Kunstraad Groningen, Stichting Stokroos. In collaboration with Nadine Rotem-Stibbe.